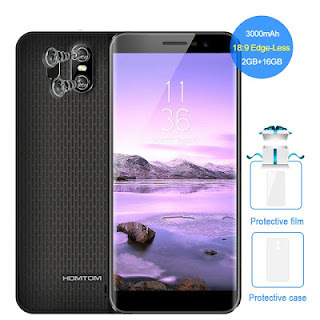 Homtom smartphone are know for producing very cheap phones with okay specs , they try to make nice phones very affordable for the masses , and they are out with another one called Homtom S16 that comes with a 18:9 display for N 23,315 , very cheap isn't it ? The Homtom S16 comes with a 5.5' 18:9 edge -less display screen and runs on Android 7.0 .It also powereed by a MTK6580 Quad-core processor ,and has a 13MP + 2MP rear camera and a 8MP front camera . For the battery it comes with a 3000MAH battery capacity . What do you think of this smartphone? Price is relatively cheaper at AliExpress and interested buyers should avail themselves the opportunity of getting it from there. And its very affordable, the specs are also better than some itel models smartphone sold above that amount. But there is always a but when it comes to unpopular brands. Taking Nigeria phone market as a case study, one can easily work into a parts dealer shop and get the required parts for a particular popular device.